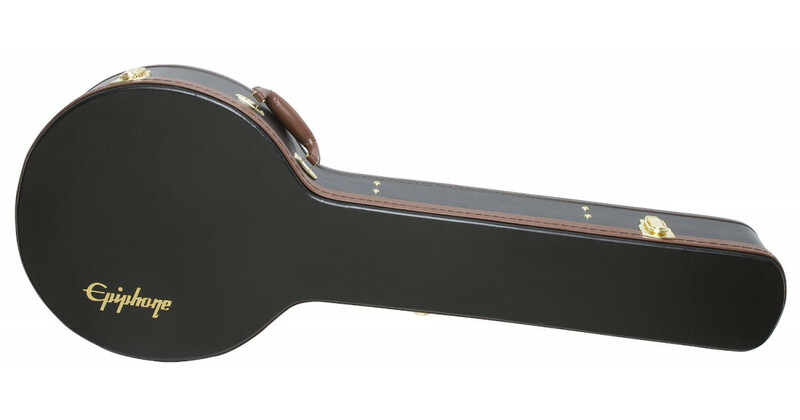 Epiphone 5 string Banjo case. Hardshell exterior protects a grey and plushly lined interior. Instrument shaped hardshell case with plush interior. Internal spare case for accessories.